Upgrade to Shades Promo! Happening Now! Help us to save the lives of young children. We were very happy with the prompt assistance you gave us in changing out the existing (motorized) shades we had in our kitchen. Our new Intelli-shades do a great job of moderating the sun in the room, while allowing us to still see quite clearly and take advantage of the terrific mountain scenery we have. Not only was it a pleasure working with you and your team, the installers were also terrific, neat and very capable. Thanks again for all of your help. I cannot say enough good things about Intelli-Shade. 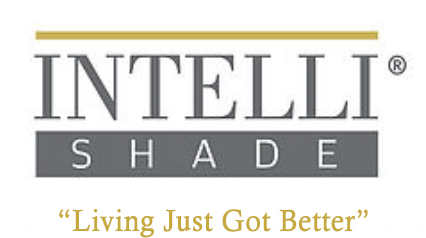 We received bids from others but felt that there was no better value than the Intelli-shade® system(s) for our home. The sales representative was great and helped us to work on a creative solution to address our problem(s). They did a great job with regards to the installation and were diligent in programming the system to satisfy our needs. They even followed up to make sure that everything was working well...we really appreciate the exceptional customer service. Wow, what a difference your Intelli-shade product has made in our home. Our privacy concerns are no longer…and we can sleep-in without the sun waking us up every morning at the crack of dawn. We now have peace of mind and our quality of life at home has been much improved. Thank you so much for the guidance and providing us with a solution that exceeded our expectations. Thank you so much for helping us to solve our light control problem. The dual shades were the ideal solution for us. We can now enjoy watching television any time of day without the annoying glare and reflection on the screen. It has also made the entire room more comfortable and usable - any time of day. We will be happy to recommend your company to all of our friends! The more we use the shades when the sun is intense, the more we love them. You have been really easy to work with, honest (which is a big deal) and have delivered on your promises. I’ve been super impressed with the Intellishade battery powered shade. Its been rock solid since installation! My project wasn’t an easy one, as we had no means to install power for the shades in my condo. I also wanted shades that could be controlled via a Control4 system - one that even didn’t exist at the time. Overall, I’m super impressed with the professionalism of this company and so glad that I used them! When I purchase my next home, I’ll be using this company again. Call Today - To Recieve Your Complimentary In Home Consultation!